Office Hours: Tuesdays, 3:00-4:00 p.m. Please contact Sarah for information about Leadership Academy as well as questions related to candidacy for SCMA E-Board Elections. Direct any concerns specific to SCMA, its e-board members, general members, or the MSU Supply Chain Department as a whole, to Sarah. Please inform Sarah of any type of wrongdoing, unfair treatment, harassment, or malicious behavior related to and/or experienced as a part of SCMA. Hey everyone! 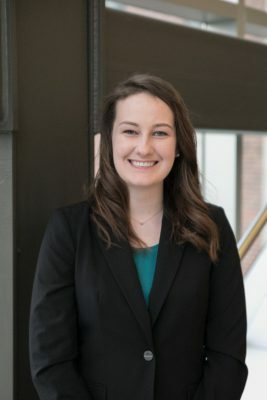 My name is Sarah Jonckheere and I am a senior majoring in Supply Chain Management. This is my second SCMA executive board position, where I previously served as a Career Fair Director. SCMA has provided me with many opportunities and skills that have been crucial to my professional success. After my freshman year, I was able to intern with Ingersoll Rand in Panama City, FL where I worked with their operations team. In this position, I worked closely with their Inventory Control department to improve their sub-inventory transfer process as well as decrease the number of expedited 3PL shipments. This past Summer, I interned with Amway in Ada, MI where I worked with their global procurement team. I had projects in both direct and indirect procurement, while I also worked to earn my Lean Six Sigma Yellow Belt. I will be interning with General Mills in Sourcing at their headquarters in Minneapolis, MN. These experiences would not have been possible if it weren’t for the connections and insight I have gained from being involved with SCMA. Please feel free to contact me about anything, whether it be about the career fair, resumes, internships, or anything else. I look forward to meeting you all this year!